Do you have an idea you’d like to pursue, or a problem you’d like to solve, but you don’t know where to start (or who to start with)? TechStars Startup Weekend is the place to look for a team, create a prototype of your idea, validate your business idea, and receive feedback from experienced entrepreneurs — all in one weekend. Pitch your idea, bring your team, and challenge yourself to create a prototype of your MVP that fits the needs of your target customer. You’ll get feedback, iterate, and likely pivot your approach entirely! 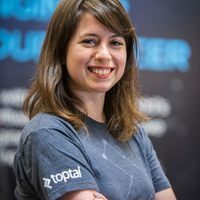 Asia Lindsay, Toptal’s Europe Community Lead, will be one of the mentors at this event. Join in, May 11-13 in Lisbon at Sottomayor Palace. For more information and to get tickets, please visit the event website.